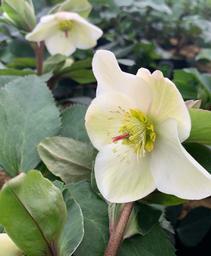 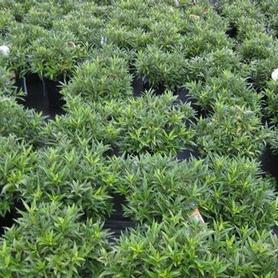 'Josef Lemper' Christmas Rose has white flowers on strong short stems in early February and March, held above glossy evergreen foliage. 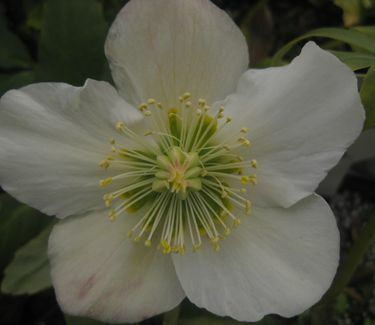 From Heuger-Blumen of Germany. 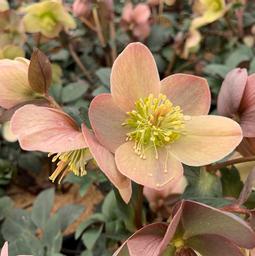 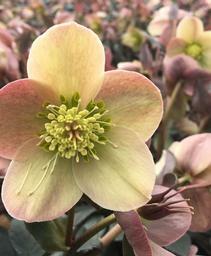 Hellebores are dry site tolerant and very long lived.